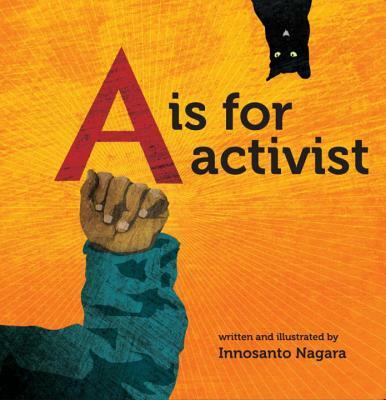 A is for Activist is an ABC board book written and illustrated for the next generation of progressives: families who want their kids to grow up in a space that is unapologetic about activism, environmental justice, civil rights, LGBTQ rights, and everything else that activists believe in and fight for. The alliteration, rhyming, and vibrant illustrations make the book exciting for children, while the issues it brings up resonate with their parents' values of community, equality, and justice. This engaging little book carries huge messages as it inspires hope for the future, and calls children to action while teaching them a love for books. "I wish this beautiful and inspiring book was around when my daughter was young, but fortunately there were plenty of cool children around today who will devour what Inno is serving up! "—Dan Zanes, maker of 21st century all-ages music and Grammy Award winning album Catch that Train!